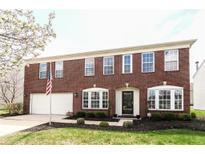 Below you can view all the homes for sale in the Brooks Chase subdivision located in Fishers Indiana. Listings in Brooks Chase are updated daily from data we receive from the Indianapolis multiple listing service. To learn more about any of these homes or to receive custom notifications when a new property is listed for sale in Brooks Chase, give us a call at 317 979 0009. Conveniently located in northern Fishers minutes to Hamilton Town Center Simon Mall, I-69 & I-37 for quick commuting & nearby amenity lifestyle. MLS#21635286. M.S. Woods Real Estate, LLC. Upstairs 3 large bedrooms, bonus/4th bedroom, game room, laundry. Master Suite garage Tub & walk in closet! MLS#21633285. CENTURY 21 Scheetz. Easy access to highway and Hamilton Town Center Mall MLS#21629715. WKRP Indy Real Estate. HURRY-This BEAUTIFUL HOME WON'T LAST. MLS#21629560. RE/MAX Legends Group. The Backyard features a patio and a privacy fence. Come see this beautiful home! MLS#21627366. Keller Williams Indpls Metro N.
Short Ride from Hamilton Town Center, I-69, Saxony Beach/Hospital, & More! MLS#21623743. 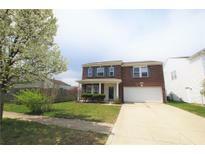 Mentor Listing Realty Inc.
Large 4 bedroom 2.5 bath home, needs cosmetic repairs and updates MLS#21607958. F.C. Tucker Company. 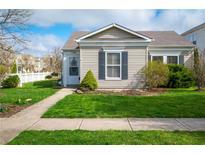 Conveniently located near Hamilton Town Center amenities and convenient access to interstate. Come see your new home! MLS#21597651. Keller Williams Indy Metro NE.